The documentation of liverworts in the field, growth room or laboratory can be a challenge. The small size of the plants means that plant features may need to be captured at sub-millimetre, almost cellular scales. Recent developments in optics and electronics allow new approaches to this challenge. For example, Panasonic and Olympus digital cameras allow for bracketed focus and in-camera focus-stacking in order to capture a precise description off features in small objects. Panasonic series of cameras (e.g. G8, GX80/GX85, GH4/5) include a 4K photo mode, which allows collection of series of bracketed focus images at 4K resolution at video rates. Further, selected frames and extended focus views can be generated directly in the camera. 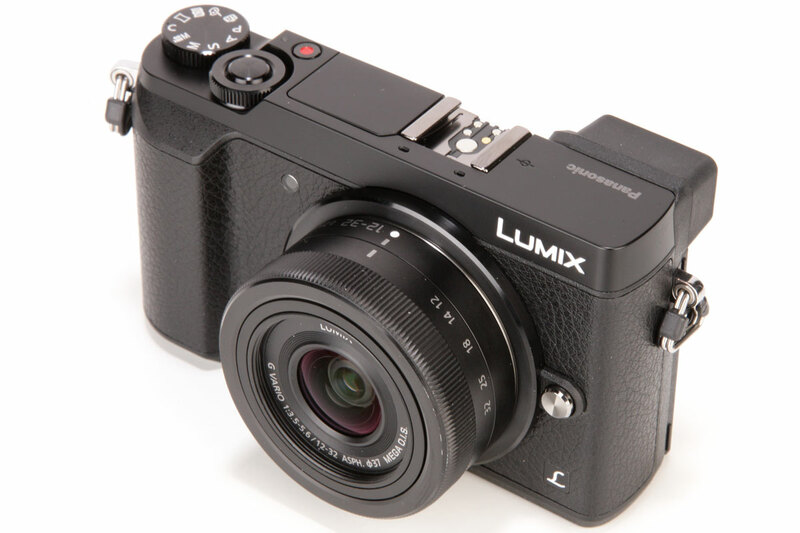 The Panasonic cameras, with their advanced video handling, allow the rapid collection of extended focus images. In the appropriate mode, a shutter press will result in the collection of a short video that consists of a video sweep through the observed scene. The video can be previewed and stacked in camera, but better results can be obtained by processing the movie to remove beginning and end of the clip (as the focus settles), and process the movie directly in software such as Helicon Focus. For small plants, a macro lens is essential, and an extension tube and Raynox close-up adapter allow imaging of cell-scale features. A video ring light (or equivalent) allows work at close range. The Olympus 60mm F2.8 Micro Four Thirds lens is excellent. Alone, it has a working distance of 19 cm, which is reduced to a few centimetres with extension tube and close-up adapter - with the compensating benefit of higher magnification, high resolution and working autofocus. An example of a working system is shown below, with video and stacked image. 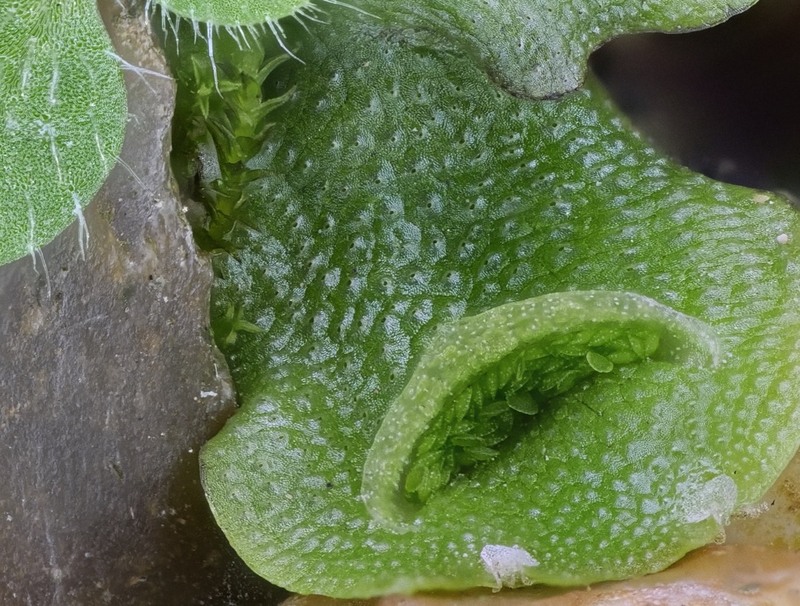 Handheld macrophotograph of a Lunularia cruciata plant, using a Panasonic GX80 camera adapted for close range extended focus imaging. Micro four thirds format camera with removable lens system, lens and body image stabilisation systems available, high quality sensor and video rate focus bracket mode - where hundreds of focus-stacked frames can be collected as a hi-res 4K movie, and imported into 3rd party software for production of high quality extended focus images (see above). Compact size, light weight and high speed image collection facilitate handheld use. The camera is highly customisable for better field handling and optics. See here for more details. 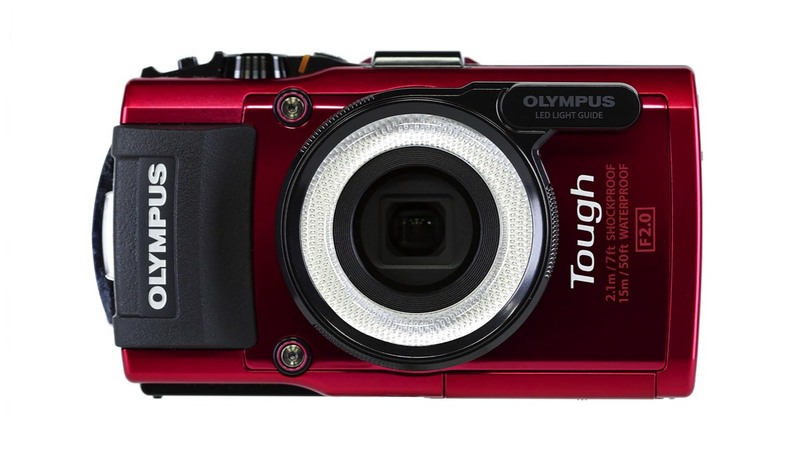 The Olympus TG series of compact cameras are robust and waterproof, compact and designed for rough handling. The cameras have undergone a series of improvements, and the current version is the TG-5 model. We have used the TG-4 and TG-5 models for plant imaging. These cameras have automatic in-camera 8-frame focus stacking, and up to 30-frame focus bracketing. The cameras have sealed lenses, and are capable of extreme close focusing (1 cm). An LED light guide accessory (LG-1) is available that provides a ring light fro illumination of close objects. For example, the cameras can photograph an object when laid flat on top of it. This allows simple use in the field - where the camera can be propped adjacent to or over a small plant. Many examples of field use can be found here. A comparison of the TG-4 and TG-5 models can be found here.